There's much to explore in this park. We'll be right around the corner from the entrance to Slim Bay and Mud Bay which are off-limit to motor boats. 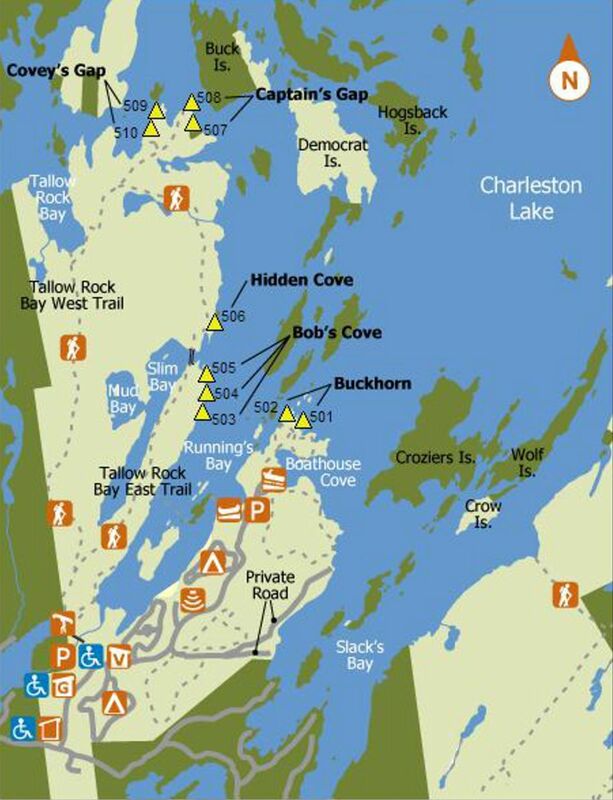 We'll also be just off of the Tallow Rock Bay East Trail, so we'll be able to hike to some interesting spots.